A 3.5-inch gold-plated statue of Tantric Buddha Vajrayogini in Maitri Kacho form, exquisitely hand-carved by master craftsmen. Suitable for anyone engaging in her practice and for those aspiring to advance to higher tantric practices such as hers. 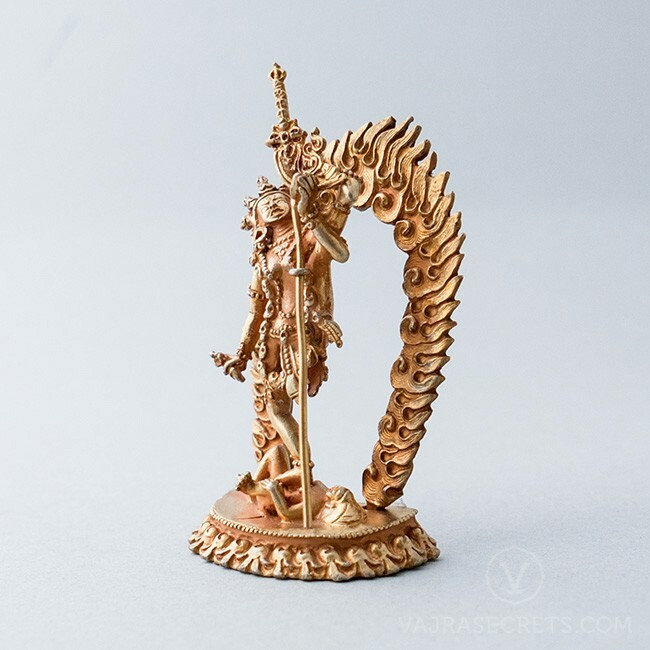 A 3.5-inch gold-plated copper statue of Tantric Buddha Vajrayogini in Maitri Kacho form, exquisitely hand-carved by master craftsmen with full iconographic detail according to traditional scriptural sources. For the initiated or aspiring tantric practitioner, this is a perfect addition to a small shrine at home or as part of a portable travel altar. 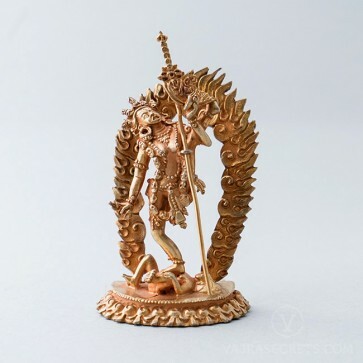 This Vajrayogini statue can be personalised with a hand-painted face using real gold dust or insertion of mantras and holy items. One can also offer brocade, pearls and semi-precious stones, as H.E. Tsem Rinpoche always encourages the practice of making offerings to the Three Jewels, which creates the causes for us to attain the six paramitas (perfections).